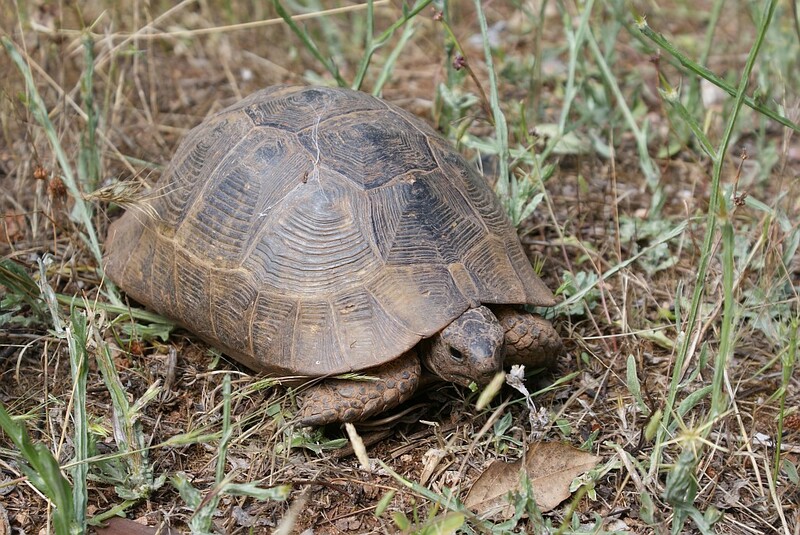 At the end of May last year I was off on holiday, wandering around Turkey looking for wild tortoises. Well, we’re creatures of habit here in the BWM household, so guess what? I’ve been doing the same thing this year. We’ve spent the last couple of weeks in Turkey again, in a place called Adakoy near Marmaris. 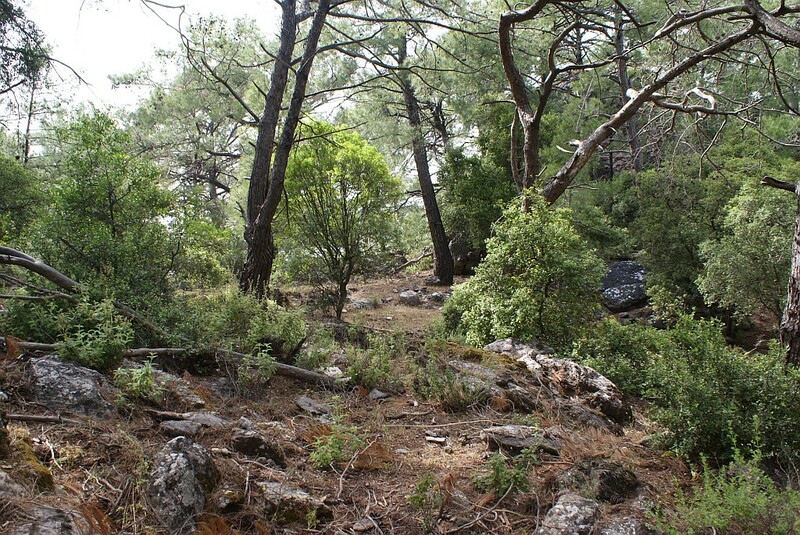 It’s a fantastic place – mountains and pine woods sweeping down to the sea, and all pretty unspoilt still. Our hotel was on a small island about five miles across, which apart from a few other houses was entirely deserted. I doubt if many people have ever walked for fun across the island, but the craggy rocks, steep hills and pine trees were crying out to be explored. Once again, I found tortoises. Lots of tortoises. I came across a dozen or so on an afternoon’s walk. They’re still odd things to come across in the wild, but I’m getting more used to them now. On a slightly more scary note, I also came across a snake crossing one of the rocky paths, black in colour and at least three feet long. I was too slow to take a picture, and at the time I had no desire to plunge into the undergrowth after it. Looking it up on the internet later, it seems to have been a type of whip snake – impressive but not venomous. Here’s an interesting creature which was quite common – the Dung Beetle. This is the scarab of Egyptian mythology, the kheper hieroglyph. The Dung Beetle builds itself a round ball of dung, which it then pushes into a hole in the ground and into which it lays its eggs. 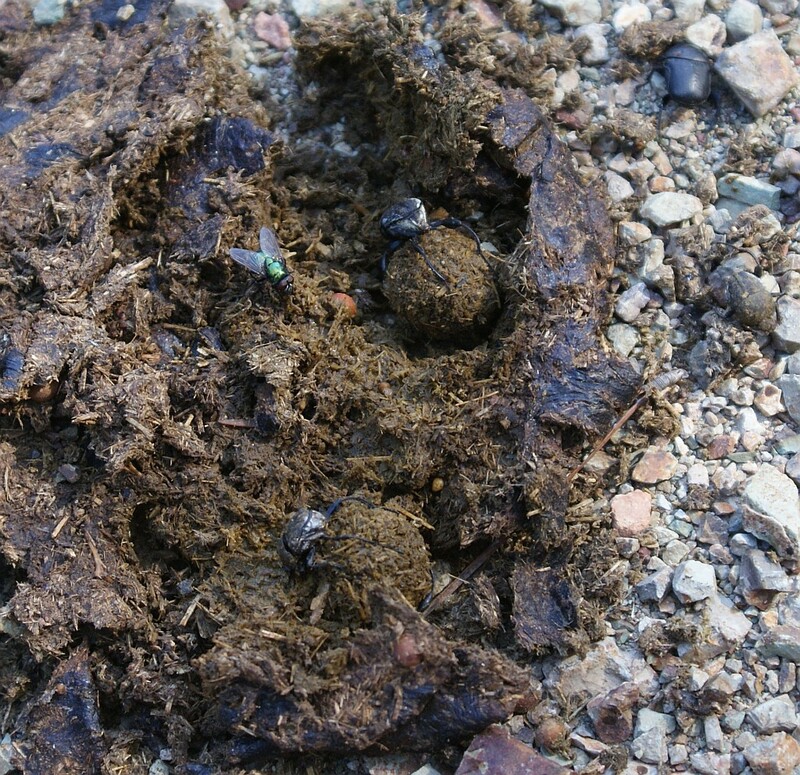 The larvae hatch and feed on the dung. To the Egyptians it symbolised life, and the sun was sometimes thought to be pushed across the sky by a huge dung beetle. They were fascinating to watch, particularly since they seemed to have no scruples about stealing the dung ball off another beetle. The hills were home to a variety of birds. 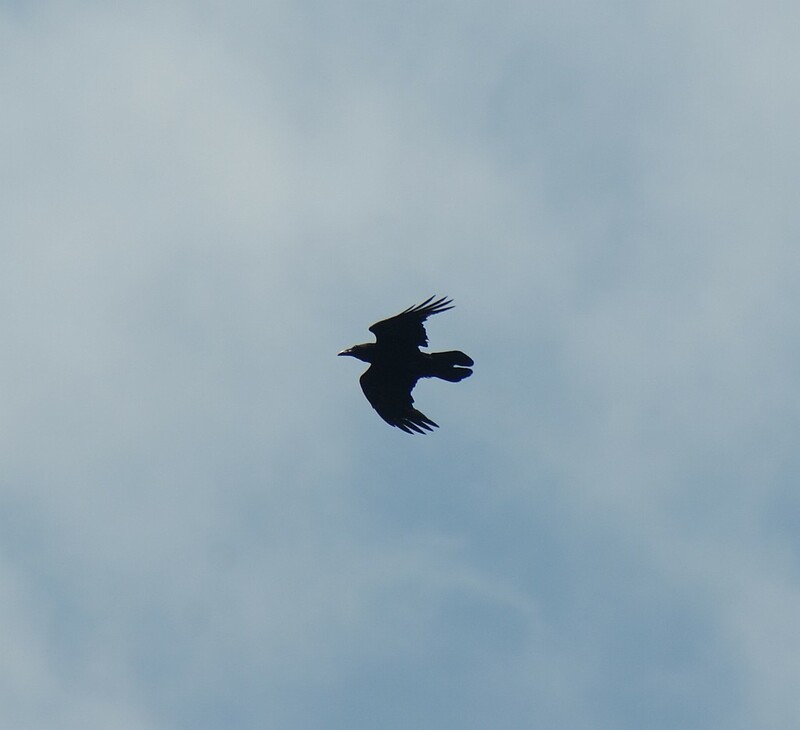 Buzzards were common, soaring on the thermals, as were a group of Ravens. The whole landscape was very interesting. Whenever I go on holiday, I’m amazed that so few people ever set foot outside their hotel or off the road. I had a great time and got to see a whole new part of the world. Anyway, I’m back in Bedfordshire now and catching up on work, correspondence and general chores. The weather has obviously been good here because everything in the garden seems to have grown by a couple of feet. After all my travels lately it’s good to settle down for a long weekend.